Jennifer Lawrence is in The Hunger Games, so that’s reason enough to give her a steesh. My roommate made me go see the movie last weekend and I am disappointed that I wasn’t disappointed. 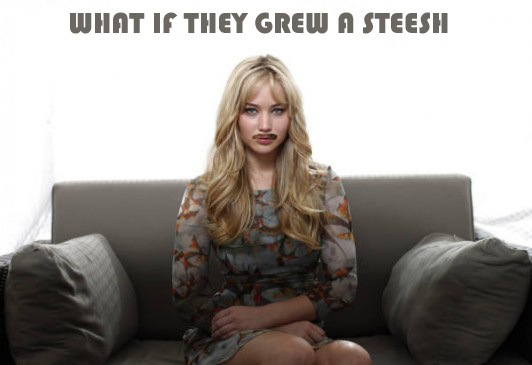 This entry was posted in What If They Grew A Steesh... and tagged Hunger Games, Jennifer Lawrence, Katniss, mustache, Steeshniss on March 29, 2012 by Los Bulls. 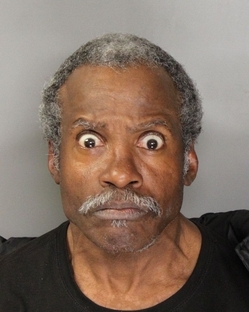 Would you believe me if I told you this looney toon was arrested for jumping on a police car with a sombrero and boxing glove on? Of course you would. This entry was posted in Mugshot Steesh and tagged looney toon on March 29, 2012 by Los Bulls.